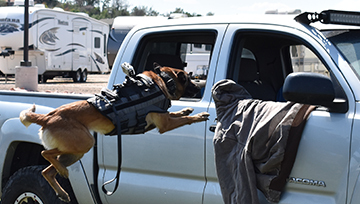 Our mission is to provide law enforcement, government and military agencies in the US and abroad with excellent dogs and K9 training that not only meets, but surpasses the expectations of our clients. 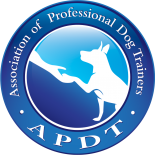 We focus on ensuring sound fundamental training with our dogs. Everything we do is done with excellence, we never cut corners. We will never place a dog that we are not confident is not ready for the job. 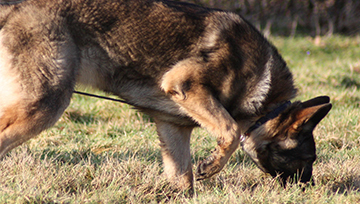 Our team is comprised of highly trained staff that understands working K9s and the needs of our customers. Through rigorous and on-going training we ensure our team members are always up to date on the best training practices and industry needs. You won’t find a more dedicated staff to their craft than with us. A former US Army infantryman who fell in love with dog training as a way of life. He trained his first dog, his family’s yellow lab, with the help and guidance of his father at 15 years old. 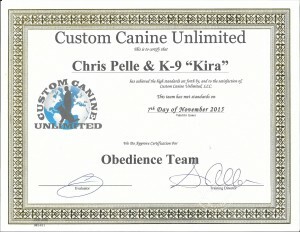 Chris dove into professional dog training in 2013 when he got his first German Shepherd, Kira. Kira is now working as a mobility service dog in Chicago. 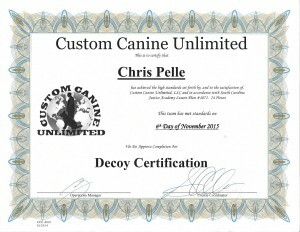 Chris’ dog training expertise is obedience, confidence building, personal protection dogs, and dual purpose or single purpose canine training for law enforcement & military agencies. 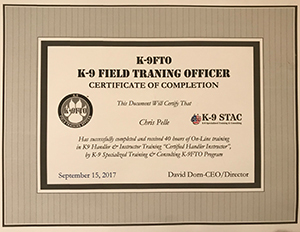 Chris earned his K9 Field Training Officer certification in 2017. He has been decoy and K9 handler certified since 2015. 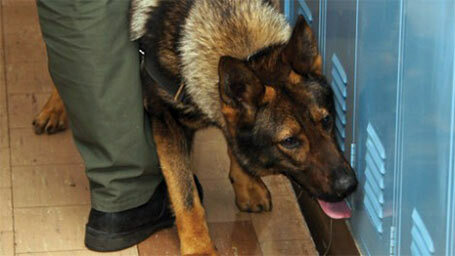 Eros his Czech GSD is his personal protection K9. Chris is a member of the Colorado Police Canine Association. Chelsea is a major key to our success. Her love for dogs is what drives her, and she truly believes in our purpose. She’s the one who keeps things organized and running smoothly. Without her expert organizational skills, we would be lost like a LT doing land nav. Chelsea helps train dogs for our civilian group classes and works with our board and train dogs. Chelsea has 3 dogs, Sammy (the loveable pittie), FiFi the Frenchie, and Chimera her personal protection malinois.